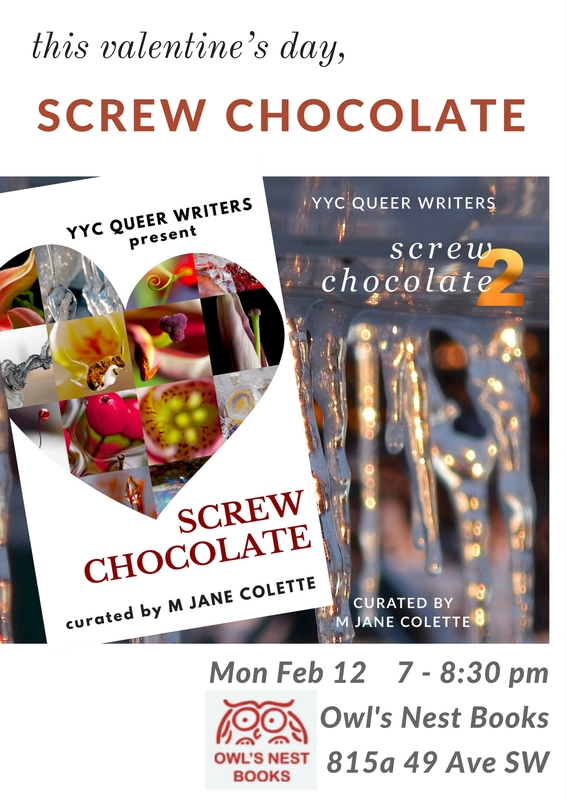 The Screw Chocolate Countdown continues today with an essay-that-could-be-a-poem about relationships that include… more than two, by an author whose voice I absolutely adore. 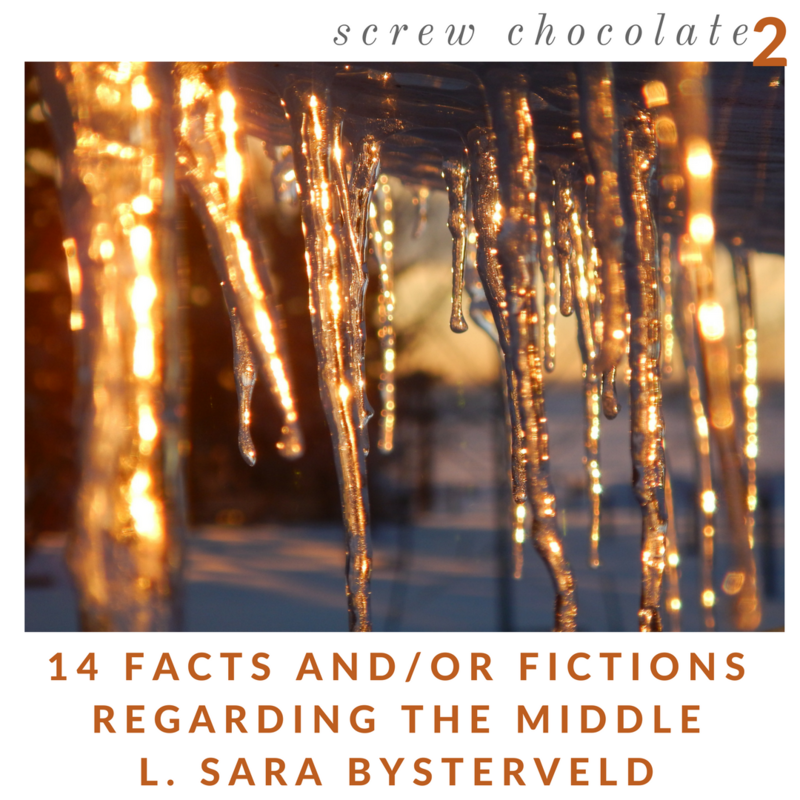 About the author: L. Sara Bysterveld answers to Lindsay (her very good reason for the pretentious pen name can be found on her author site, LSaraBysterveld.com), aside from when she doesn’t answer at all because she is hiding from her five kids/step-kids, two partners, and two cats. She was voted ‘Most Likely to Publish a Book’ and ‘Most Likely to Be a Syndicated Columnist’ by her peers at her college journalism graduation party, immediately before jumping into the pool fully clothed. 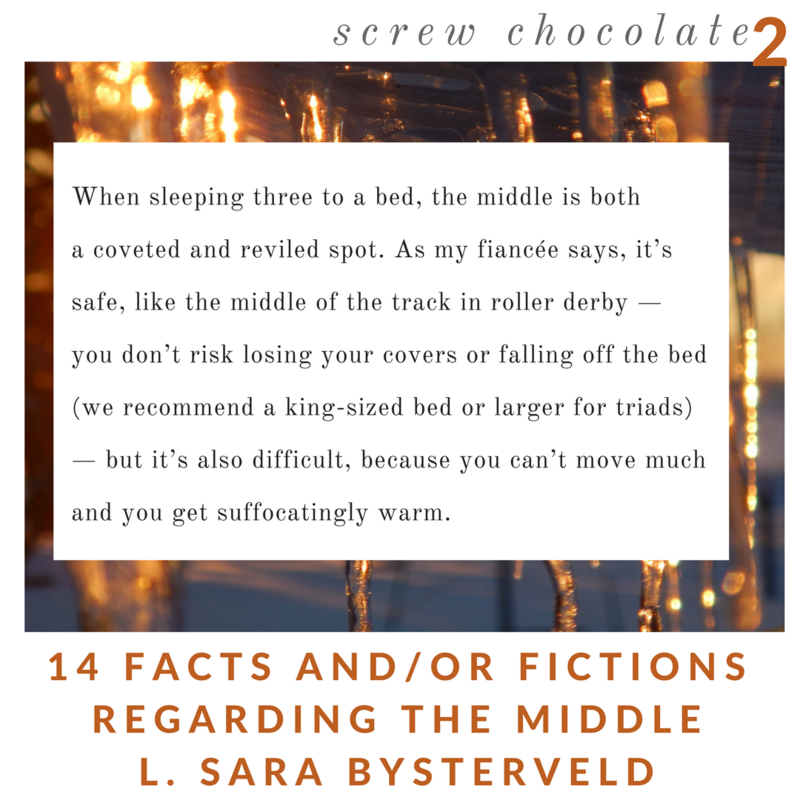 She’s currently working on the former with her non-fiction book, Triads: How It Works When Love Includes Three. 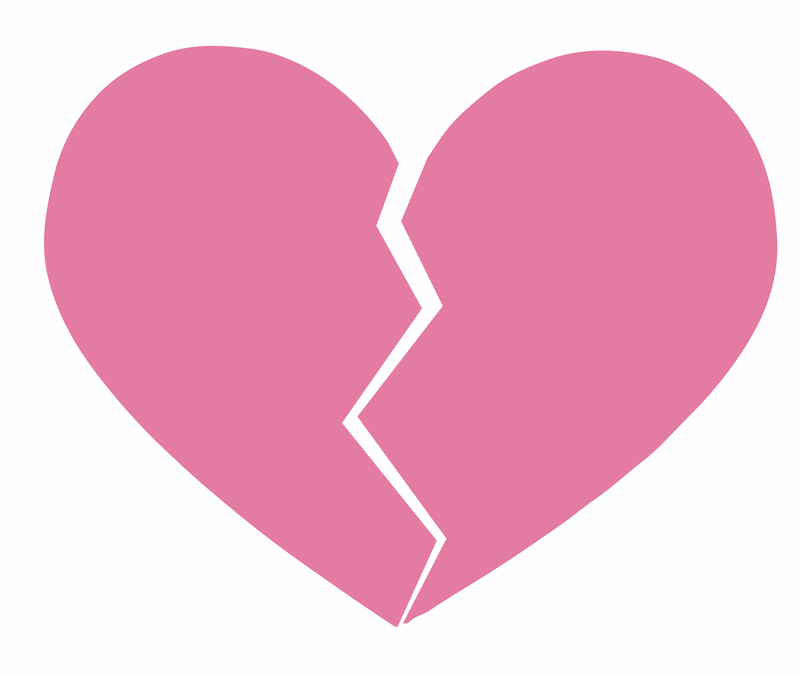 Find out more about Lindsay, triads and the book on Instagram (@thetriadbook) or the website TheTriadBook.com.